For those who have been following my blog, you’re probably the next installment in this series, which would be What Gear To Take, however I forgot something. I’ve been on the road this week, visiting with family and re-connecting with friends and during this trip, something hit me and hit me hard. Who we are and the actions we take are a sum total of what we choose to hear, read, see and who we hang out with. This is reality and has been written about by countless self-help authors over the years. and yet they choose to be comfortable where they are, even though they want something different or better and are frustrated. OK, that’s a long sentence, but please read it again. How does this apply to Making Your Dream Ride A Reality? Read about the place you want to go and about people who’ve made the same or similar journey. This will give you inspiration. Find people who will give you moral support and encourage you in reaching your dream and hang out with them. You’ll find these people see the possibilities in life and this will give you energy. Switch off the negative and find the positive! News and current events are loaded with negative because it sells. Negative does exist, however there is significantly more positive in this world so find it. Change your words. This one is a challenge and challenges are difficult and fun at the same time. For example change “I want” to “I will have” and “I should” to “I will. Understand that the subconscious part of our brains will ignore negative words like “don’t” or “do not”. So the request to “don’t slam the door” usually results in the door being slammed, where the request to “close the door quietly” usually results in the door being closed quietly. So, make the conscious effort to frame sentences in the form of what you want. It will take some thinking and yet, you’ll begin to see a difference very fast. Make small steps each day in the direction you want to go and you’ll get there faster then you realize. OK, now for the fun part. The more read, hear, see and hang out with people who are positive, the more fun you’ll have. Trust me! 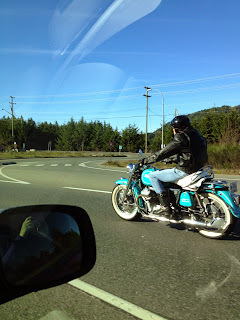 PS: To add to the proof that any any motorcycle will do. 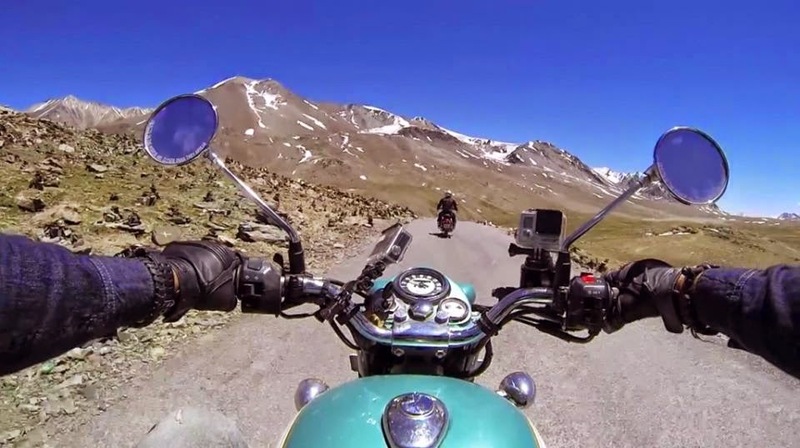 The Himalaya mountains on a Royal Enfield.